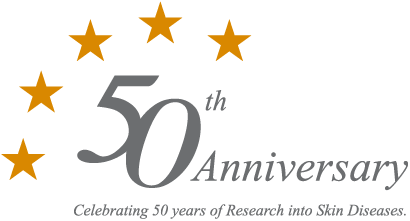 The North Eastern Skin Research Fund was set up in 1966 in Newcastle upon Tyne to promote research into the cause, prevention and treatment of skin disorders. The number of people suffering from skin disease continues to grow each day. Research is needed to prevent the increase in skin disease in the UK by exploring the causes in order to produce effective treatments. Our directors aim to support local research into skin health. Their varied jobs give them an understanding of the difficulties experienced by those with skin conditions as well as the strong desire to improve knowledge and treatment of skin problems. Many specific projects have benefited from NESRF support since 1997. The profile of the NESRF is increasing which can only be of further benefit to skin research within the region. We continue to attract applications for funding to support research projects. We organise a number of fund raising events each year. Have fun and come and join us at one of our events or even sponsor your own event. Skin diseases are very common in all age groups and have a profound effect on sufferers and their families. They have recently been shown to be the most frequent reason to make a new appointment with GPs. In spite of this, research into skin disease tends not to be a national priority and attracts very little charitable funding. If you’d like to support the NESRF, please visit our Get Involved section for more information. If you’d like to learn more about NESRF, please don’t hesitate to contact us.